We have three practical ‘how to guides’ to help you with REconomy work. They focus on running events, starting an enterprise and resourcing you’re your activities. Whatever stage your project is at, these guides are there to provide hands-on support. Advice and experience of many groups and organisations is captured within these resources. 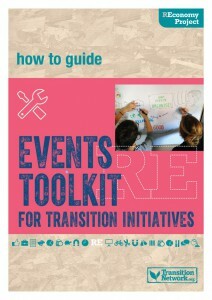 Events Toolkit for Transition Initiatives aims to help people stage local or regional events themed around transforming a local economy including how to engage local community, business and other organisations in REconomy work through these events. 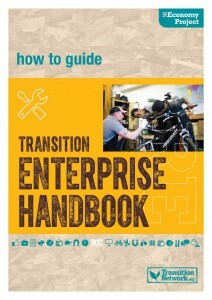 Transition Enterprise Handbook is designed to inspire entrepreneurs and give an overview of the process of setting up a business, or help an existing enterprise which is planning a period of change or development in the UK. 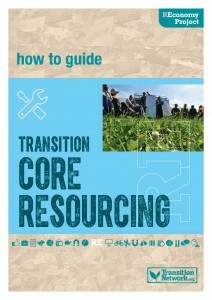 Transition Core Resourcing is for any group that wants to think creatively about how it funds its core activities, including but not exclusively for REconomy activity. It is written for Transition Initiatives in the UK but others might find useful ideas and some non-UK examples are included. 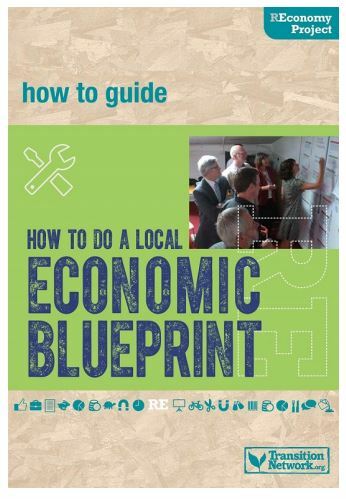 How to do a Local Economic Blueprint is for any group that wants to pursue the Economic Blueprint process in their own community. It is designed to inform, guide and support you and your group through a self-facilitated process. 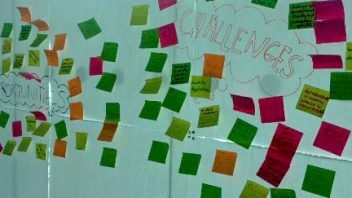 Five Steps to REconomy is for any group that wants to bring about community-led economic change. Download the Powerpoint presentation and tailor it to your group’s needs. 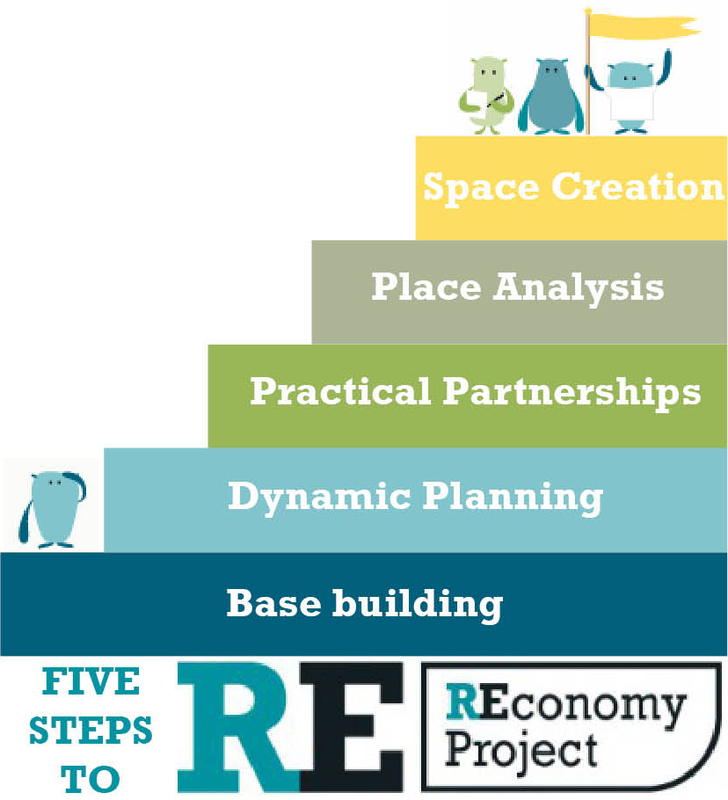 These five steps encompass learning from three years of REconomy work across the UK. 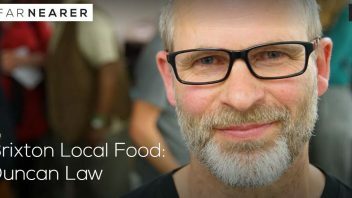 They are the building blocks to helping transform local economies from the bottom up. 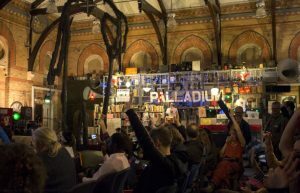 These guides are part of the support package offered by the REconomy Project, alongside help with staging events and enterprise development. This work is supported by funding from the Friends Provident Foundation. An database of investment and funding providers for enterprises is due to be launched in February 2017. A big ‘thank you’ from the REconomy Project to all the groups, businesses and individuals who have contributed to these guides and brought so much inspiration and practical support this work.